About a month ago, I purchased this mask from Amazon (click to be directed to the website). 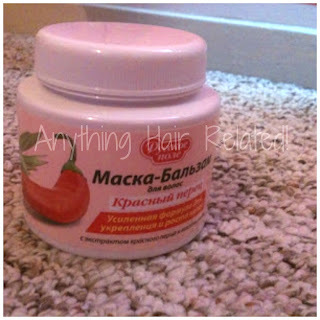 Even though I can't read the description, the ingredients are in English and this product has great reviews! 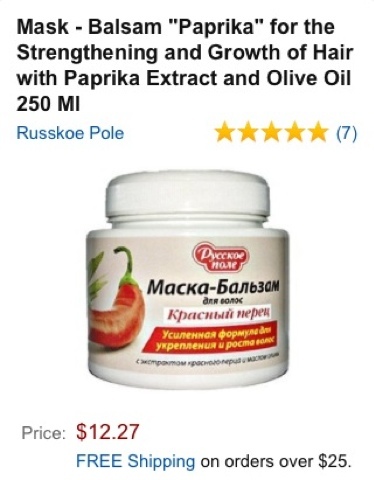 Amazon's Description: The mask has a slight warming effect, and all the properties of red hot pepper, and additionally introduced into the olive oil nourishes and moisturizes hair and scalp, restores the structure of the hair and facilitates combing. Red chilies, thanks to its helpful and healing properties, is widely used in folk and traditional medicine for the prevention and treatment of many ailments and diseases. Red pepper is rich in vitamins A, C, P, B vitamins, contains a fatty and essential oils, steroidal saponins, carotene, capsaicin - the substance of a number of alkaloids, which gives zhguchest its fruits. Introduced in the composition of our shampoo and mask balm extract of red hot pepper increases blood flow to the hair roots, promotes hair follicle supply of oxygen, vitamins, nutrients, stimulates and revitalizes dormant follicles, strengthens hair and promotes their active growth. 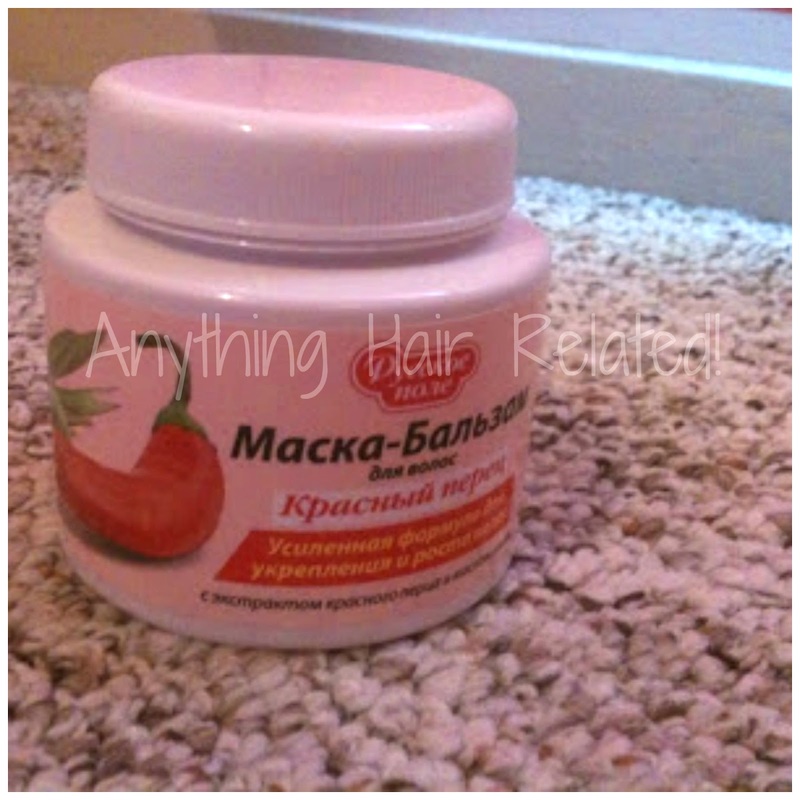 My review: This product definitely has a warm, tingling sensation on my scalp. The smell is great and the smell lingers a while after rinsing! I used it in my Pre-Poo and left it in for about 30 mins! It says to leave on for 3-5 mins but I took a chance. Overall, this conditioner is very moisturizing, the price is nice, and it has a semi-thick consistency! 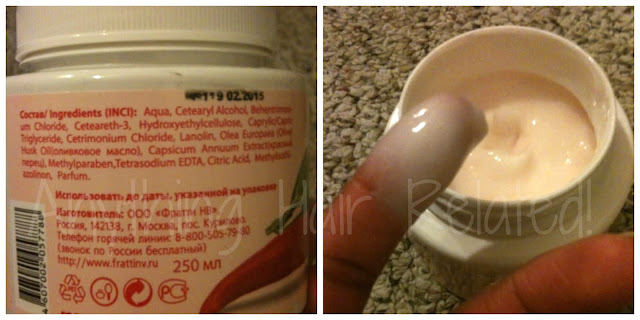 3 comments on "Product Review: Paprika and Olive Oil Strengthening Mask"
Definitely try it out. I like it so far. Thanks for stopping by my blog. Don't be a stranger! Stop by whenever you can.